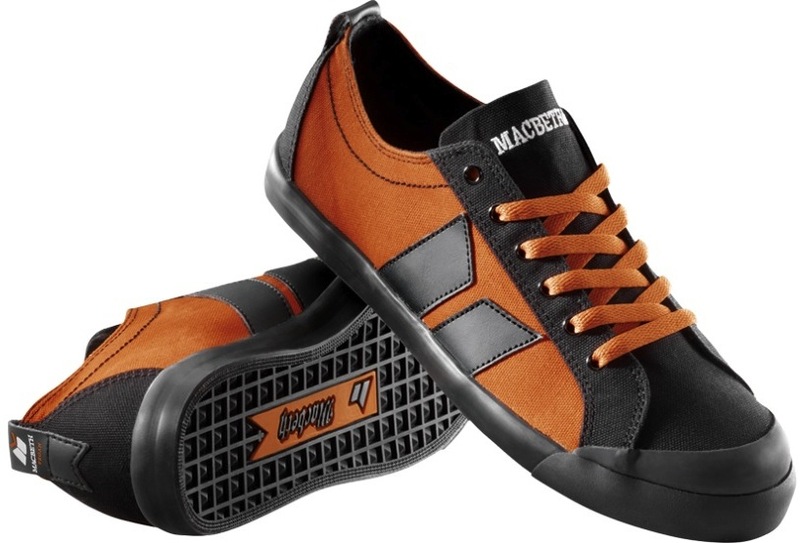 The Macbeth Eliot comes in a few new vegan colorways this fall. Appropriate for the season and month of October the Black and Carmel is going to look great on the board or pumpkin patch. Is this a 1031 collab? The Eliot is a light duty shoe perfect for some cruising and occasional ripping. The rubber toe cap is actually quit effective for holding up against the wear of flip tricks. The slim tongue and collar are super comfortable and light weight but watch those flying boards, no ankle protection here. The soles are super flat and vulcanized with a pyramid pattern. Insoles are thick and bouncy making the shoe really comfortable for walking or skating. After I shredded the sides skating they became my dog walking shoes.